With just one call to us, we’ll provide the most competitive quotes from the best insurers. 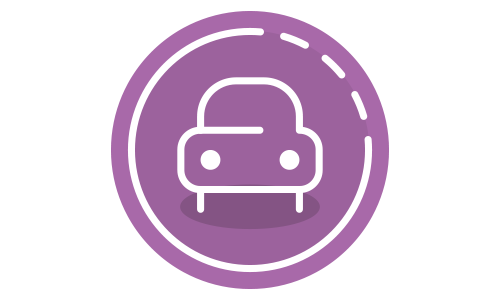 Our Free Driver insurance product is specifically designed to help keep young drivers safe and fully insured. If you’re aged 17-25, ask our team about Free Driver, today. We offer insurance for whole host of home insurance needs, including your main residence, holiday homes, buy to let, high-net worth and non-standard. Own a shop? Run a dental surgery? Become a craft brewer recently? Operate a property management company? We can assist with finding you the right level of insurance. For peace of mind to help you make the most of your trip - let the team at Andrew Yule find insurance to keep you and your belongings protected. Andrew Yule Insurance specialise in the providing cover for your fleet but also accident management and replacements vehicles. Call us to find the best deal for you. We make insurance simple for everyone. Finding the right cover and price yourself can be difficult, but we make it simple so whatever you need just ask for a quote. You can also choose from a range of optional add-ons so you can get exactly what you need. Scroll down to see all the insurance services our brokerage is able to offer. 5 star rated customer service - rated by you. With no call queues and people who care about our customers, we ensure that the whole insurance process is easy. And because we compare dozens of policies, from some of the biggest names including Aviva, LV, Zurich and Ageas we’ll find the right deal for you. Whether you need to insure a family car, sports car, convertible or classic we’ll provide the most competitive quote from the best insurers. GAP insurance helps by topping up the car insurance pay out to the original invoice price of the car (known as the invoice GAP) or the amount you owe on finance at the time. Our best young driver insurance yet. It’s perfect for 17 – 25 year olds looking to get on the road. Our Black Box technology helps keeping you safe and your premiums down. If you operate a bed & breakfast business from your home for 6 or more guests you need to have public liability insurance as well as buildings and contents cover. Liability Cover for your trade? Own a shop? Run a Surgery? Rental properties? We offer a wide range of business insurance from some of the biggest names including Allianz, Aviva, Axa, NIG and Zurich. We’ve got a range of insurance policies and add-ons to keep you and your business on the road. From a single van to a small fleet with a mixture of cars, vans and even fork lifts we’re here for you. At Andrew Yule, we understand that feeling safe and secured in your own home is invaluable. Our home insurance services are tailored to individual needs. We are specialists in high value properties and possessions insurance. With many years of experience and know how we will advise on the best solution for you. At home and even abroad... we can provide competitive insurance for your second holiday home that is used by friends and family or even let out? Everyone wants peace of mind when travelling, so we’ve got insurance that’s perfect for you! Wherever you’re going, whatever type of trip we’ll check a range of policies to keep you protected. From flight delays to damaged luggage or booking problems to a medical emergency, we want you to feel secure that you have the proper travel insurance in place should you ever need to use it.